Edward K. Spann devoted his life to history. Born in Fairlawn, New Jersey and raised in New York, he attended Colorado College between 1948-1950 before transferring to Iona College to complete his undergraduate education and earn a Bachelor of Arts degree in History with minors in English and Philosophy. He continued his education by attending New York University for both his Master of Arts and Doctor of Philosophy, graduating in 1957. His graduate work focused on American history, with minor fields in Latin America and economics, with special emphasis on monopolies. He first taught at Hunter College and then at New York University from 1958-1961. In 1961, Spann applied for a teaching position at Indiana State Teachers College in Terre Haute, Indiana. He accepted an offer to join this growing institution in the late spring of 1961, noting then that he was “looking forward to a long and satisfying association with the college.” He joined the staff at the newly renamed Indiana State College as an Assistant Professor of History, earning promotions to Associate status in 1965, and a full Professorship soon thereafter in the spring of 1969. As a historian, Spann was well known for his research on New York City in the 19th and 20th centuries. Building upon his previous scholarship, he published his first book in 1972. This work, Ideals and Politics: New York Intellectuals and American Liberalism, 1820-1880, was nominated for the Pulitzer Prize. His second book, The New Metropolis: New York City, 1840-1857, was the winner of the New York State Historical Association Manuscript Award in 1977. To these may be added Brotherly Tomorrows: Movements for a Cooperative Society in America, 1820-1920 (1989); Hopedale: From Commune to Company Town, 1840-1920 (1992); Designing Modern America: The Regional Planning Association of America and Its Members (1996); Democracy’s Children: The Young Rebels of the 1960s and the Power of Ideals (2003), and, as part of the American Crisis Series, Gotham at War: New York City, 1860-1865 (2002), which has recently been issued in paperback. Just before his death he also completed a biography of Terre Haute artist Gilbert Wilson, to be published by the Indiana Historical Society in 2007. Spann also actively engaged in university service during his long tenure. He worked to create a pamphlet for high school guidance counselors to use in promoting history occupations to students, regarded by some of his colleagues to be “the best thing of its kind that they have seen.” He also worked with the university’s Social Sciences television programming service. Dr. Spann sat on numerous committees, and was chairman of the Academic Affairs Committee that presided over and affirmed the project to build an Indiana State University campus in Malaysia in 1986. As one of the founding directors of the Eugene V. Debs Society, he established the Bryant Spann Memorial Award for the best student essay on Debs’ values (since reconstituted as the Bryant Spann Scholarship for History majors at ISU). In addition, Spann was a frequent letter writer to the local newspaper. Having made Terre Haute his home from 1961 until his death in 2004, Spann witnessed many changes. He worked for four university presidents; saw the additions of four academic schools; and, without ever changing jobs, worked for Indiana State Teachers College, Indiana State College, and Indiana State University. Perhaps most profound, however, is the impact Spann had on his fellow colleagues and his students. 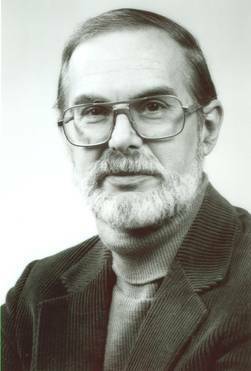 Many of his academic works are still in print, and he is still remembered across the university, in the community, and especially by his former students. Robin West, interview conducted by Marvin F Susott, 4 April 2006. Joanne Spann, letter to Steven Stofferahn, 25 May 2006. Photograph from University Archives, Indiana State University, Terre Haute, IN. Cloyd Anthony, Indiana State College Appraisal of New Faculty Members for Edward K. Spann, 14 March 1962. Cloyd Anthony, Indiana State College Appraisal of New Faculty Members, Second Year Report for Edward K. Spann, 15 March 1963. Indiana State College Faculty Record, Edward K Spann, 11 January 1963. Edward K Spann, Request for Faculty Promotion, 28 February 1964. Cloyd Anthony recommendation for Promotion of Edward K. Spann, Indiana State University, 28 February 1964. Edward K Spann application for faculty promotion, 1969. Recommendation for Faculty Promotion of Edward Spann, by Department Chairman and Dean, 5 February 1969. Edward K Spann’s Appointment as Assistant Professor of History, signed Richard E Thursfield. 21 March 1961. RW Holmstedt to Edward K. Spann, regarding appointment as Assistant Professor of History, 11 April 1961. Edward K Spann’s Acceptance of Appointment as Assistant Professor of History, signed Edward K. Spann, 15 April 1961. Edward K. Spann’s Acceptance of Appointment as Assistant Professor of History, signed Edward K. Spann, 1 May 1961. RW Holmstedt to Edward K Spann regarding promotion to Associate Professor, 21 April 1965. Edward K. Spann’s Promotion to Professor of History, signed Alan K Rankin, 17 April 1969. MW Thomas, Jr. to Edward K. Spann, Notification as recipient of the New York State Historical Association Manuscript Award, New York State Historical Association, 27 June 1977. Herb Rissler, to ISU Vice President Ehrle Acknowledgment, Pulitzer Prize Nomination of Edward K Spann, 6 July 1977. Richard G. Landini to Edward Spann, regarding New York State Historical Association Manuscript Award, 8 July 1977. Committee for the Malaysia Project, Advisory Report to the President, 8/3/1986-12/3/1986.